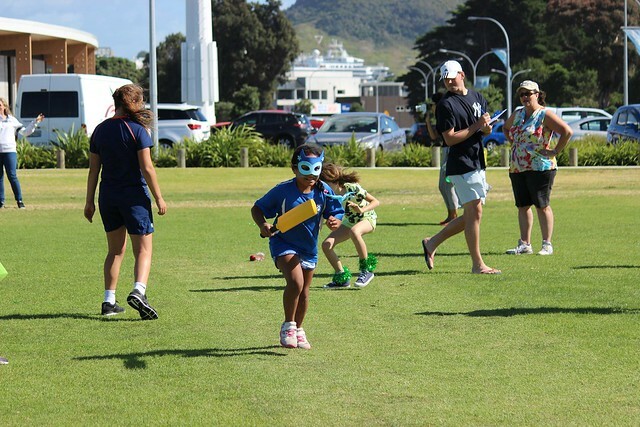 The tournament was played in fine weather but there were some strong gusts of wind blowing across the Cricket fields that added to the atmosphere of a fun filled day for the girls. Over 30 teams took part this year with Arataki School taking the most wickets of the day and Greenpark Jade scoring the most runs. At the end of the tournament there was a chance for the girls to support the NZ White Ferns who were playing Jamaica on the Mount Oval.